‘Beti Jindabad’ may sound very unusual for the name of a bakery. But Beti Jindabad Bakery in Kansabel, Jashpur district in Chhattisgarh is not just any other bakery. True to its name, the bakery stands out as an example of women’s empowerment and indomitable human spirit. The bakery was established in 2017 by the Chhattisgarh government to rehabilitate victims of human trafficking. Since the very beginning Beti Jindabad Bakery has been a unique success story. It is also considered a milestone in the history of efforts made to uplift women in the state of Chhattisgarh. The bakery is run by a Self Help Group named Jeevan Swayam Sahayata Samuh, consisting of 20 girls. All these 20 young women associated with the bakery were once victims of human trafficking.After their rescue from traffickers, they were rehabilitation and livelihood through this bakery. These girls are a symbol of resilience too. Despite the trauma faced by them early in their lives, all of them have shown exemplary courage and determination and have moved on. Living the past behind, these girls are now looking forward to a better future and are striving to fulfil their dreams. Inaugurated on 15th August 2017, the Beti Jindabad Bakery has its manufacturing unit and the shop located in the Kansabel block headquarters. The Jashpur District administration and Department of Women and Child Development recognised their spirit and approach and worked for their sustainable rehabilitation. The girls were extensively trained for the trade for two months before the inauguration of the bakery. They professional training was given to them at Vigyan Ashram, Pune. It was arranged under the Mukhyamantri Kaushal Yojana. The objective of this bakery was to provide the girls with sustainable rehabilitation and effective social inclusion.The Self Help Group was given 5 lakh rupees as seed capital for the project under Pradhan Mantri Rojgar Yojana. An additional sum of 1 Lakh rupees was lent under Chhattisgarh Mahila Kosh loan scheme. For the sale of the bakery products, an outlet was set up at Kansabel by the local Gram Panchayat. The average daily earning of the bakery is around 1500 rupees. This amounts to a monthly income of 45000 rupees. The SHG pays a sum of 8800 rupees every month towards loan repayment. Since its inception, the bakery has not looked back. Neither have the girls associated with the bakery. They have been moving forward steadily towards excellence. 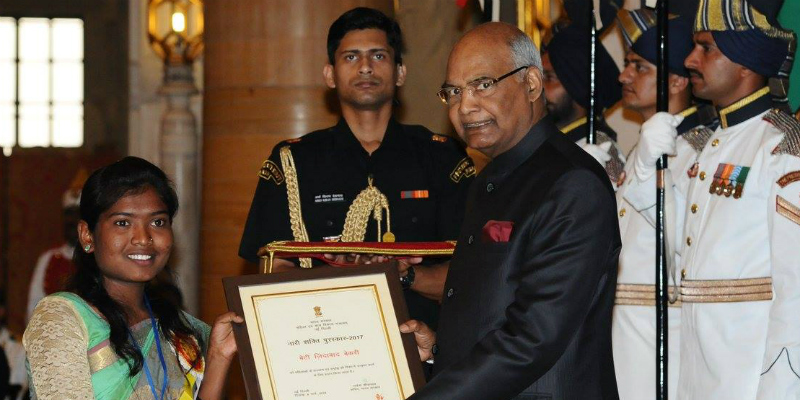 In 2017 the Beti Jindabad Bakery got the Nari Shakti Award from the Government of India for its contribution to the cause of women’s empowerment. 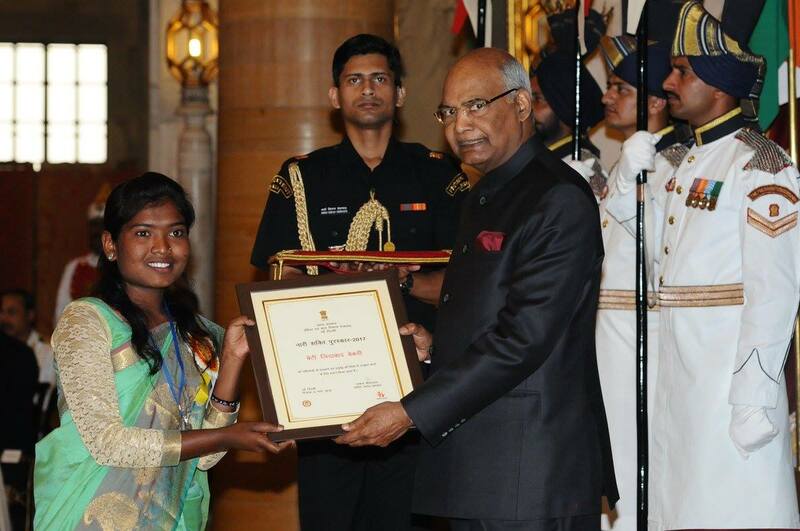 The president of India honoured them with this award. The Beti Jindabad Bakery has been very popular since its launch. The professional training and support that these girls have got is reflected in the management of the bakery and its products.The products have been very popular among the customers for their quality. The girls are hopeful that in the coming days, their business will see more profit and expansion and will bring more prosperity to their lives. But apart from being a source of livelihood, the bakery is a sign of pride and dignity for these girls too.